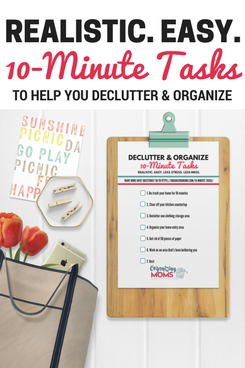 Are you completely overwhelmed by the idea of decluttering your home? When you look at a room filled with stuff, are you unsure of where to even start? 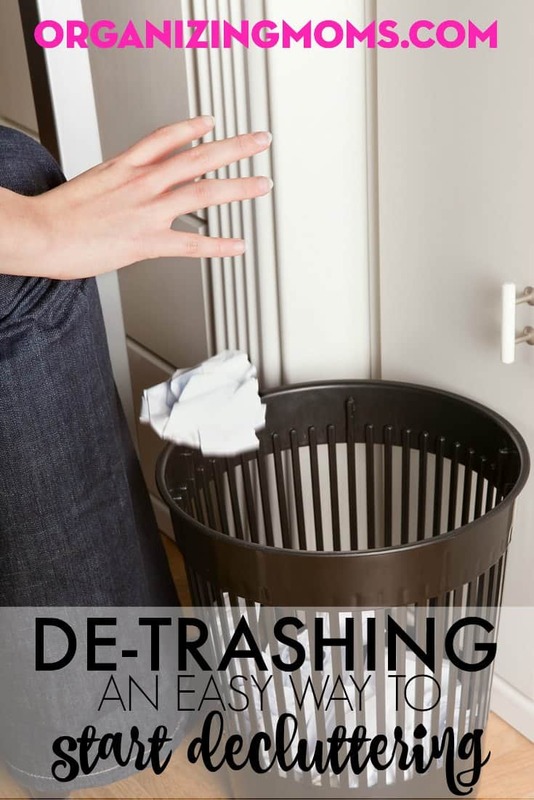 One of the easiest way to start decluttering is by de-trashing. By getting rid of obvious trash, you’ll make progress, and you’ll be able to see the rest of your stuff more clearly. Plus, that trash needs to go. Right? To start de-trashing, grab a garbage bag, and think of a number. I like to use the number 25. Then, go through an area of your home, and throw away at least 25 items. 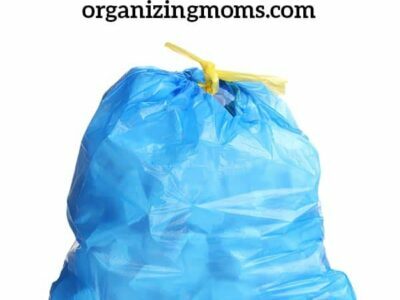 Or go the extra mile and get rid of 27 pieces of trash like decluttering expert FlyLady. Ketchup packets, soy sauce packets, etc. All of the ideas above count towards your total. Those are all things I’ve de-trashed from my own home. Anything else that you find and trash will also count toward your total. Don’t worry about the size of the things you de-trash. Everything you get rid of brings you a step closer to a less-cluttered home. Want to save this for later? 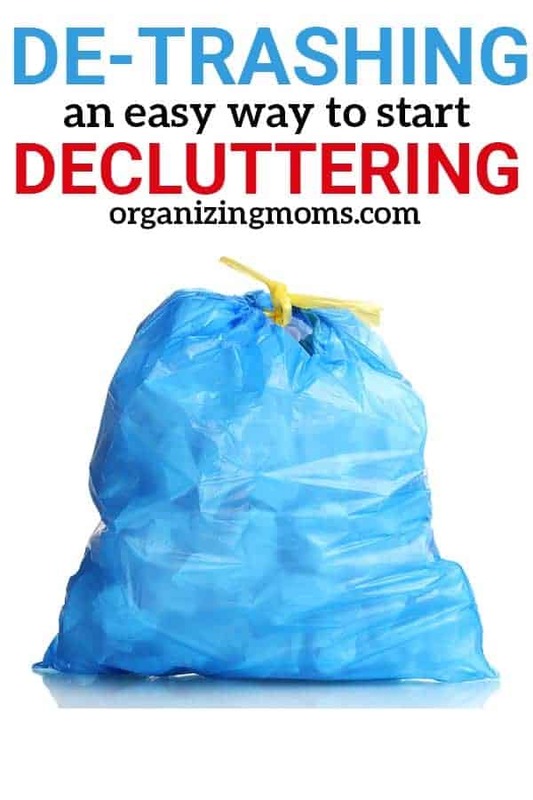 Save “De-trashing: An Easy Way to Start Decluttering” to your favorite Pinterest board.